The RePaper development boards from Pervasive Displays come with a driver board that is powered from 3V and has level shifting on all the I/O pins so it can be used with 5V microcontrollers such as the Arduino. The PCB also has a lot of driver circuitry required to keep the display running smoothly such a temperature sensor, FLASH memory and ZIF socket. All signals are broken out to a 20 male socket header on the left. A 20 pin socket/socket cable is included to make wiring easier and there's also some extra-long header so you can plug these wires into Arduino header or a breadboard. 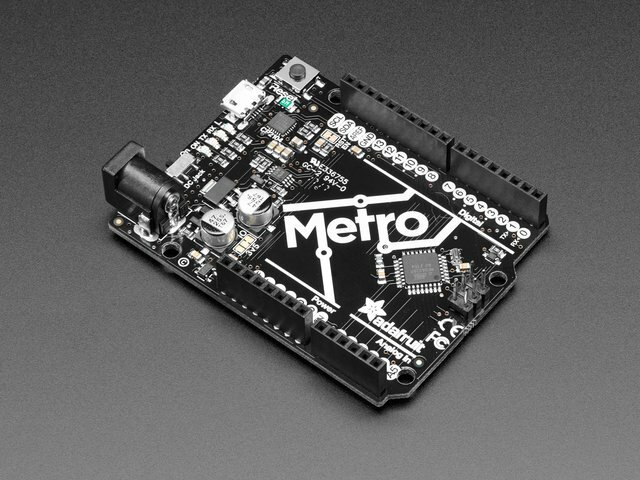 RePaper/PDI have provided a suite of example code for Arduino UNO/Leonardo and Mega, as well as a driver compatible with the Adafruit GFX Library. Now you can program this display with the same library as all our TFT LCD and LED matrix displays! The largest 2.7" display buffer requirements are too much even for the Mega. It is not possible to use the GFX library with this display. This guide was first published on Apr 28, 2013. It was last updated on Apr 28, 2013. This page (Overview) was last updated on Apr 24, 2019.